Somewhere along the way, our families grow bigger than we ever imagine. The kids grow up, move away, get married, and come back with lots of grandchildren and extended family members. Planning a family event might not be as easy as just inviting everyone over to have dinner at the house. Special celebrations, such as birthdays, anniversaries, graduations, confirmations, reunions, and holidays can be shared together at our South Coast event venue. Venus de Milo can accommodate small groups and large gatherings, depending on your needs. Our on-site social event coordinators can help you with all of your Swansea, MA event planning needs, helping you to focus on the fun. While we are proud to have earned a solid reputation as a premier wedding venue in Southeastern Massachusetts, Venus de Milo is also an excellent place for family gatherings of all types and sizes. Our banquet rooms in Swansea are a great place to hold your catered events, ranging from family-friendly buffets to fancy plated meals at banquet tables with beautiful linens. Whatever it is that you want to do, our team can help you achieve your goals. Our ballrooms can be set up to accommodate guest lists as high as 1,800 for large celebrations, but we can also create smaller spaces for more intimate gatherings. Our team can even help you to configure separate meal and activity areas, which can be great for family reunions, birthday celebrations, and other types of events. We also have a full banquet menu online for all of your South Coast event venue planning needs with food options ranging from local surf and turf to cultural or ethnic menus. Schedule a tour with our social event coordinators to see the facility and discuss your options. Just like a wedding or another big event, make sure to send out family invites and ask for RSVP responses. This will help you keep track of who is coming and who can’t make it, but it will also help you to keep an accurate count for catering needs and other food and beverage options. Most venues handle Swansea, MA event planning costs according to the number of guests that will be there. Count yourself and your household family members into the final count when you deliver it to our on-site catering staff. Depending on the size of the party, make sure to secure the South Coast event venue and send out invitations at least a couple of months in advance. Avoid busy weekends, graduation season, the first week of school time frames, and other calendar events that might prevent guests from attending. Consider sending out a “save the date” type of announcement in advance to get a feel for the number of guests that you might expect to see at the banquet rooms in Swansea. 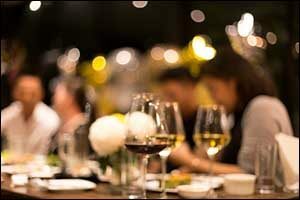 If you think scheduling might be difficult, consider discussing options with family by group email or at another holiday event before securing the venue for your gathering. When it comes to families and gatherings, there are lots of different types of events that can benefit from being planned at a South Coast event venue. For example, large birthdays that have both family members and friends on the guest list will often require a much more expansive area to have room for all the tables, chairs, food, and activities. Anniversaries will usually also include guests outside the family and can pretty much double the average guest list for family events. Work with our on-site Swansea, MA event planning team to create the type of celebration that you want. You can host a morning breakfast, late-morning brunch, mid-day luncheon, cocktail reception, or dinner. Venus de Milo can set you up with a buffet menu, creative carving stations, and formal plated meals. Our team can also assist with celebration cakes, chocolate fountains, and candy tables to help you create a memorable gathering for family and friends. Beautiful table linens in a variety of colors, custom lighting, and even a selection of centerpieces can all be used to create the perfect backdrop for your special day. Planning a family event in the near future? Contact our team of social event coordinators to learn about availability for your desired dates, discuss your plans, hear our menu options, and schedule a tour of the facility. Give us a call at 508-678-3901 to secure our venue for your family’s social gatherings and special occasions. Venus de Milo has a solid reputation in the South Coast area for delivering professional and attentive service that will help make your family celebration to be even more special and memorable.